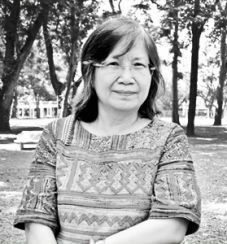 Dr. Kanchana Kanchanasut brought the Internet to Thailand and was actively involved in many Internet connectivity initiatives in other Southeast Asian countries, championing the idea of email, and later the Internet, in that region in the 1980s. She directs the Internet Education and Research Laboratory at the Asian Institute of Technology (AIT) in Thailand, where she is also a professor of Computer Science at its School of Engineering and Technology. She has been Acting Vice President for Research at AIT since April 2013. She set up the first experimental domestic research and education network in her nation in 1988, connecting five universities in Thailand with dial-up connections to the Australian Academic and Research Network. She also registered the .TH domain name and has been its administrator since 1988. In 1991, Dr. Kanchanasut’s efforts led to the first leased line with TCP/IP connection to the global network. Her current research focuses on challenged and emergency networks, digital media communication and tele-education. Dr. Kanchana has served as executive director of AVIST, the Association of South East Asian Nations’ Virtual Institute of Science and Technology. She earned her PhD in Computer Science from the University of Melbourne and her BSc from the University of Queensland, Australia.